#251 Le Mans 24 Hours Pt1: We race to Le Mans, by train, tram, by road through traffic and on foot. The new cars, and the race start. Sniff Petrol on the Ipswich 24 Hours and the Audi Hotel. Trackside with X-Car’s Alex Goy, and stunning audio of the cars. 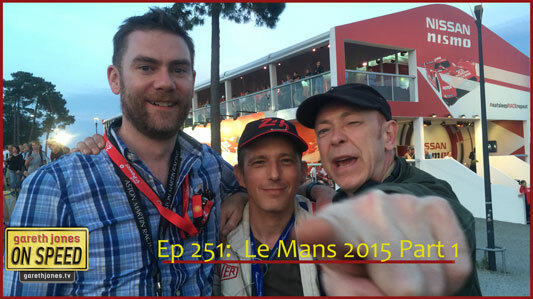 Our coverage of the 2015 Le Mans 24 Hours continues in Gareth Jones On Speed episode 252, available 24 Hours after this one.